Scenic Lets is a unique, cost effective and expertly designed timber frame kit building system which you can customise to suit your specific brief and the character of your location. The aim is to give you maximum freedom of design whether your project is a self build kit house, a luxury holiday let as your own business, or a larger scale development. The result is a distinctive, timeless, and light flooded space of high quality consisting of long lasting materials, with the option to be as cost effective as your budget allows or as high end as your specification requires. 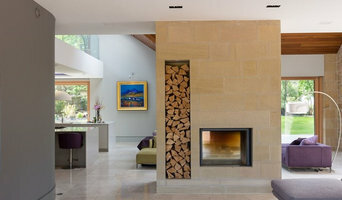 Scenic Lets is a multi-disciplinary company consisting of award winning architects, highly experienced quantity surveyors and contractors who take pride in what they are creating. Scenic Lets is made up of a well connected team and has access to consultants with multiple fields of expertise. D4 Architecture & Interiors has been bourne from the knowledge of the need for seamless and outstanding architectural design and project management and has come forth from award-winning design projects. We are leaders in pushing the boundaries of new fresh and contemporary design. 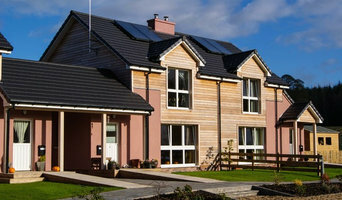 D4 Architecture is an experienced team of designers based in Dublin. D4 has extensive experience in the design and delivery of house extensions and one-off houses for design conscious clients.